First, you will need to pick which type of strawberry best suits your needs; the table below explains the differences. The kind you choose will dictate how you lay out your beds (more on that below). June-bearing Honeoye, Surecrop, Earliglow, Sparkle One large crop in early to midsummer. These produce a lot of big berries at one time for freezing or making jam. Everbearing Ogallala, Fort Laramie, Ozark Beauty Two small crops per year, one in early summer, one in early fall. The small, sweet berries are good for sauces and eating fresh all summer. You can harvest late in the first season. Day-neutral Seascape, Tribute, Tristar Berries produced from midsummer to fall, a few at a time. These are great for a few handfuls at a time to eat fresh. 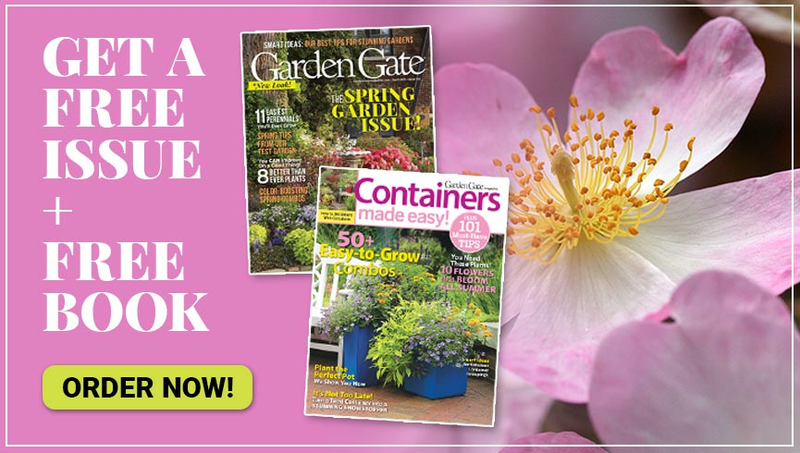 They can easily be grown in containers or as an annual. Find a spot with at least 8 hours of sun each day. Make sure it has well-draining soil. Plant potted strawberries at the same depth they are in the pot. Bare-root strawberries require a little more attention to detail. See how to plant them below. If you purchase bare-root strawberries, plant them right away so they won’t have a chance to dry out. Trim back any roots that are longer than 4 to 6 inches. Fan out roots in the planting hole and set the crown at soil level. 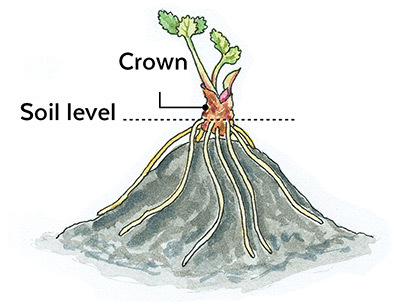 Don’t plant too deep or the crown will rot; too shallow and the plant won’t have enough roots to stay anchored or hydrated and could suffer winter damage. June-bearing strawberries produce a lot of runners (a shoot that sprouts a “daughter” plant that will root into the soil), so plant them in rows 18 inches apart and let them spread until there are about five plants per square foot (snip off any extra runners that form). Most people plant June-bearers in a “matted row” that is one or two rows of plants wide with a path on either side. Redirect runners back into the row if they grow into the path. In zones 6 and colder, plant June-bearing strawberries in early spring. For the first year, remove any flowers so the plant can put more energy into growing runners and establish a mat of healthy plants with lots of berries in the next year. You can also plant in early fall to get a crop the following summer in any zone. Don’t worry about removing blooms — none will be formed in the fall. Starting the second year, June-bearing strawberries should be renovated annually, right after harvesting. Rake off the clippings, then thin plants to about 6 inches apart by pulling out the oldest or weakest plants. Till on each side back to the original width of the row, cutting off escaping runners. 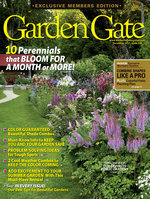 Apply compost or a general-purpose balanced granular fertilizer and water in. New shoots will fill in by fall. Renovating can keep a strawberry bed productive for several years, but usually after about 4 years it is smart to start a new planting in a different spot with new plants to prevent disease problems. 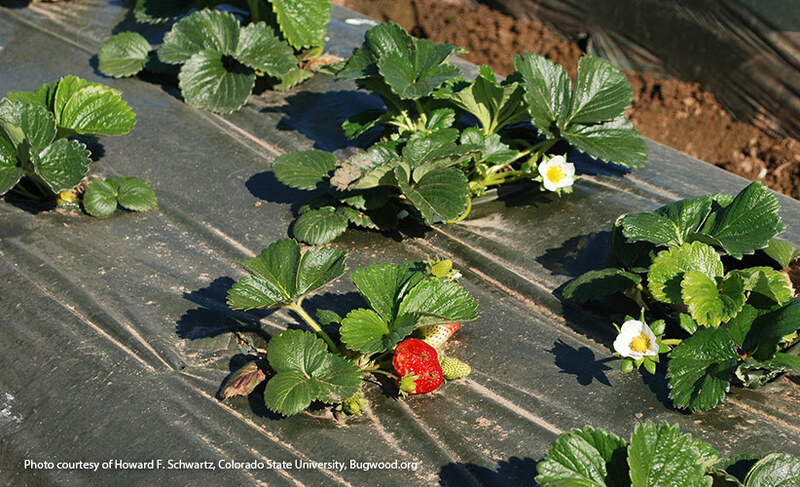 Everbearing and day-neutral strawberries produce few runners, so plant them 12 inches apart in rows or blocks. Clip off any runners that do form so the plants concentrate on forming flowers and fruit. These types also grow well in the front of a perennial bed or in containers and hanging baskets. Remove the blossoms of spring-planted strawberries until midsummer the first year, then let them bloom and produce a fall crop. In zone 7 and warmer, plant in early fall for a late-winter or early spring crop—no bloom removal needed. 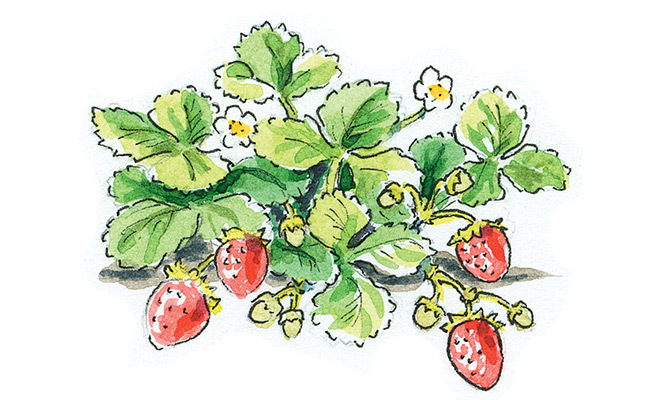 Everbearing and day-neutral strawberries don’t need an annual renovation. However, the whole bed may lose vigor in 3 to 4 years, so start it over in another location with new plants. Strawberries need lots of water — at least an inch of rain or hose-watering per week, especially when fruit is developing. 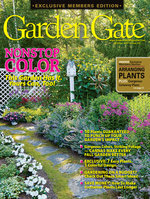 Water early on sunny days so leaves dry quickly or use drip irrigation so foliage won’t stay wet and harbor diseases. Before winter, cover plants with a 4-inch layer of straw or leaf litter to prevent soil heaving the plants out of the ground and to protect the crowns from harsh temperatures. Pull mulch back in early spring, but keep it close to cover the foliage and developing flowers again if temperatures threaten to drop below freezing. Use that same straw mulch under the plants to protect the fruit and keep the soil moist during the summer growing season. If mulch gets moldy, replace it with fresh material. When temperatures stay below 40 degrees F put down a fresh 4-inch winter layer of mulch. Can I use landscape fabric or black plastic to mulch strawberries? Everbearing and day-neutral strawberries can be easily grown with landscape fabric or black plastic since they don’t produce many runners that would try to root down. It works well to keep weeds down and also keeps fruit clean. However, it is imperative that you use drip irrigation under the barrier layer, since either of these materials will prevent rain and overhead watering from adequately soaking into the soil. Keep in mind that black fabric and plastic will also warm the soil earlier in the spring, which will give you a crop sooner, but also puts the flowers at risk of freezing with a late frost that can ruin the crop. Be ready to cover the plants with a row cover or layer of straw if temperatures dip below 40 degrees F.
Can I plant the daughter plants from my neighbor’s strawberry patch to start my bed? You can, but it is best not to plant the daughter plants in case there are any pests or diseases that could be transferred to the new bed. Your safest bet is to purchase new from a certified grower. Can I plant strawberries in my old vegetable plot? Sure, but be careful about planting strawberries where you have grown tomatoes, peppers, potatoes or eggplant the previous year because if these plants have had any diseases, pathogens that can infect strawberries might still be lingering in the soil. What kind of fertilizer should I use for strawberry plants? Compost is best — it gives a boost of nitrogen, plus adds organic matter to the soil. 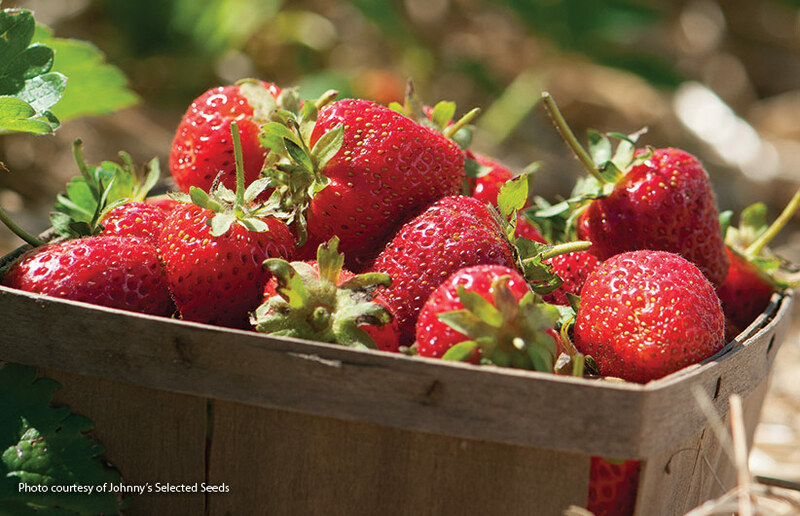 Topdress your June-bearing strawberries with compost during renovation, or when replanting. Everbearers and day-neutrals can be fertilized in late summer if the harvest slows down. You can also use a general purpose 10-10-10 granular fertilizer in early fall for all kinds of strawberries, as they don’t require fertilizer in the spring. What’s the big deal about weeds in strawberry beds? Strawberries are shallow rooted and poor competitors for water and nutrients, so weeds can easily take over. A weedy patch will have fewer berries and they’ll be harder to pick. Too many strawberry plants will behave like a weedy patch as well, so be sure to thin them to about 5 plants per square foot to get the best crop. Can I use fungicides to control diseases and insecticides to control bugs in my strawberry patch? Cultural controls are actually much more effective with strawberries: proper spacing, planting, watering, weeding, bed maintenance and harvesting are very important to a healthy strawberry bed, and can prevent pests and diseases. If you do use any chemical controls, be very cautious. Make sure the pesticide is labelled for strawberries and pay close attention to the timing — you may not be able to apply within a certain number of days before harvest. You don’t want to spray the wrong thing at the wrong time and not be able to eat the fruit of your hard labor.